God can use camp as a life changing experience for everyone which is why we developed this program for adults with developmental disabilities that are high functioning. We can never tell at the end of the week whose life has been changed more, theirs or ours. God has made this into one of our most powerful programs and the week can never come fast enough. It is beloved and highly anticipated by all. 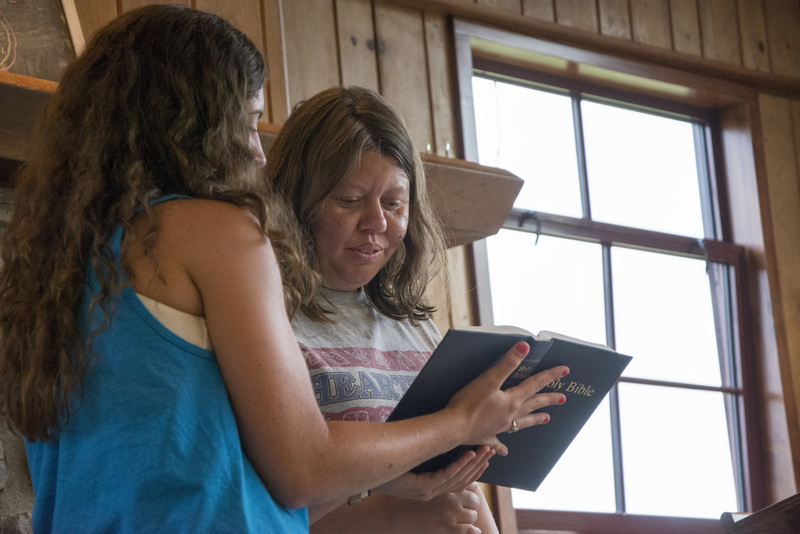 Campers will participate in activities each day including Bible study, worship, swimming, crafts, games, carnival, dance party and a final talent show to end the week. Lots of rest is always included in our days together as well as great food and fellowship with one another. Campers will stay in our air conditioned buildings and be with our trained staff at all times. Vehicles are available for those who are not able to walk our hills. Arrival: Tuesday, July 30th at 10:00 a.m.
Departure: Friday, August 2nd at 10:00 a.m.